Roosevelt Elementary School - February Spirit Week! 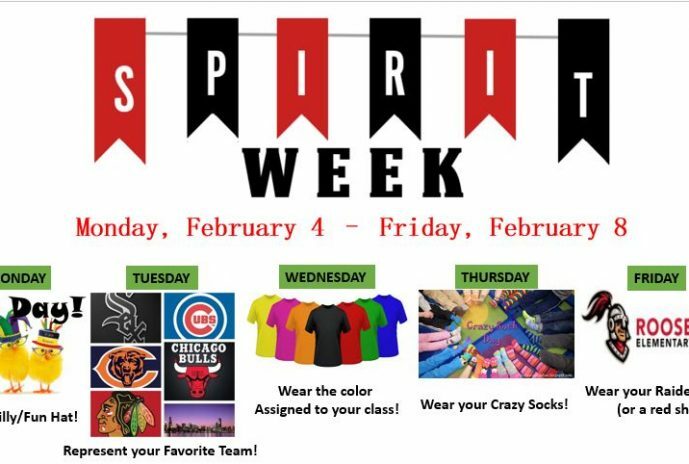 We are excited to be celebrating Roosevelt Spirit Week this week, February 4-8! Each day has a different theme and a fun way to participate. It is always fun to see what the students (and staff) come up with for each day! Flyers went home with the students on Friday laying out each days theme. We can’t wait to share all the fun pictures with you after our week of Spirit! Check out the facebook page for other updates!